New Old Stock. New in box, box may have shelf wear. 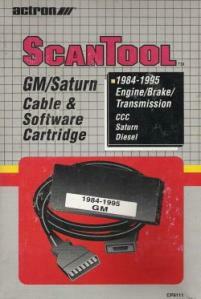 Please Note: This Cartridge & Cable must be used with the Actron CP9110 ScanTool. 1994 - 95 models using a rectangular shaped 12-pin diagnostic connector are covered.